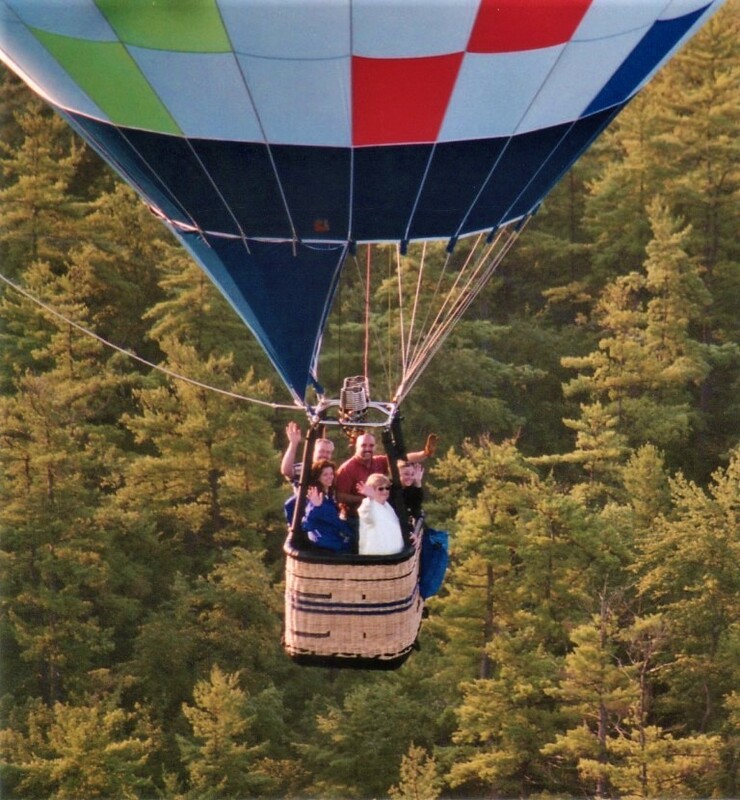 Come enjoy a spectacular hot air balloon flight with CT Ballooning LLC. Our hot air balloon flights are scheduled early in the morning, just after sunrise, when the winds are at their calmest. With CT Ballooning LLC, your entire balloon adventure will last between 3-3 ½ hours, while your actual flight time is approx. 1 hour. Balloon baskets offer the best view in aviation by far!! During the flight, we'll travel between 3 and 15 miles based on the wind speed and direction. We'll also vary our altitude from just a few hundred feet, to several thousand feet above the ground, giving you breathtaking views of the area. Depending on our location & conditions, you’ll experience an array of sights including the Farmington River Valley, Connecticut River Valley, Long Island Sound, and mountain ranges in Connecticut and Massachusetts. Upon landing, our experienced flight team will assist us in deflating and re-packing the balloon and return us to our starting point. Then, in keeping with a 200+ year tradition, we will celebrate our flight with a champagne and/or sparkling cider toast and light snacks.